The transport watchdog has called on Highways England and others to do more to meet the needs of people with disabilities using the road network. Transport Focus has published new research in which disabled road users identify a number of changes that could ‘radically’ improve their use of the strategic road network (SRN). It said the report An accessible road network? 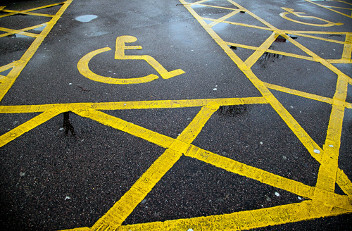 Disabled user experience on England's motorways and major 'A' roads uncovers the barriers that disabled people encounter when travelling on the SRN. Chief executive Anthony Smith said: ‘Disabled road users tell us how driving gives them independence and a sense of freedom when using public transport may not be possible. More must be done to remove the barriers that disabled people face when they travel on the road network. ‘Until now, much of the transport debate around disability has been mostly about public transport. This research widens the discussion to people who drive or are driven, a vital form of mobility for many people. The launch of the report was attended by transport accessibility minister Nusrat Ghani MP, who announced a new partnership with charity Muscular Dystrophy UK to bring Changing Places accessible toilets to the majority of motorway service areas. The Department for Transport (DfT) said the new facilities will be ‘built in the early 2020s’, paid for by £2m announced in July as part of the Government’s Inclusive Transport Strategy. Ms Ghani said: ‘It is not good enough that only 15 of England’s 112 motorway service areas currently have facilities that all disabled people can use with confidence. Training: recovery providers should review and improve the disability awareness training given to all their staff. The DfT should also consider whether the number and location of driving instructors trained to teach those with cognitive impairment is currently adequate.